People who know me inside out will know that I’m a deep thinker so I tend to think into the future quite a lot and one of those things is getting my own place. I live with family at the moment as I can’t afford to rent with me being unemployed *inserts sad face*.. Don’t worry I love living in London and I do get to have a little independence still but nothing compares to having a place of your own so when that day comes it’ll be very exciting! As I think about having my own place I add things to my wish list of what I’d want I decorate it and little accessories to make it my own. Urban Outfitters have some really cool homeware that I can picture in my place and here is just a few of them (because realistically I wouldn’t mind everything from their store)! 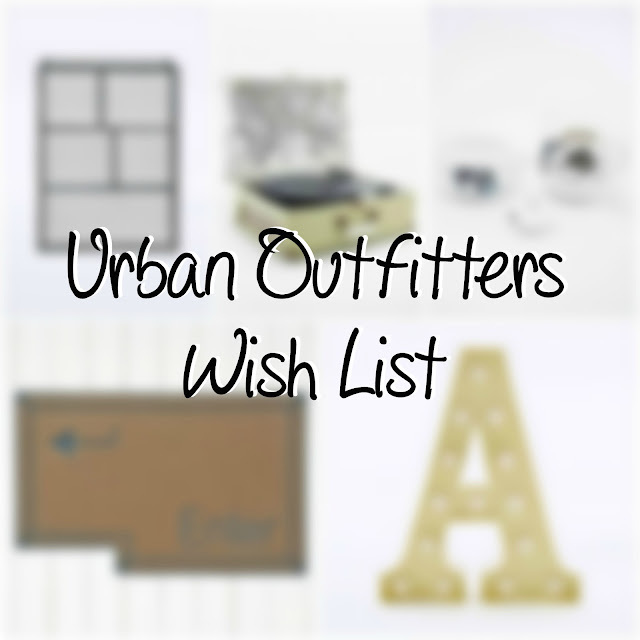 I should probably add that it’s a mix of homeware and gifts because I know maybe not all of these are classed as homeware but either way these are just a couple of things I would like from Urban Outfitters when I get my own place hehe! Wouldn’t this be so cool to hang up in the living room with some books, vinyl’s and even a little plant stacked up? I think so too! Speaking of vinyl’s I’m going to need a a turntable and this one is perfect as it has two of my favourite things, a travel theme and the colour green hehe! There’s even an USB port so you can plug in your phone or music player to listen to your tunes that way, which ever one you choose you’ve got yourself some decent speakers. You guys must know by now that I’m a massive tea lover so this shouldn’t come as a big surprise! I can just imagine when I have guests round offering them tea and being able to use my nice tea set. Also I think it’s small enough even for just one person so I spoil myself a couple of nights a week using it hehe! I’m a big fan of Alice in Wonderland and did you know this year everyone is celebrating its 150th anniversary this year? I actually love this; never thought I’d like a doormat this much haha! As I’m a tech geek this would definitely show a bit of my personality for sure. Sadly it’s sold out so I’m going to have to wait till it’s back in stock! The letter A is for obvious reasons and I want a statement thing in my living room to look awesome and what not. I’d put this in the corner of the room and when I have friends and family over at night it’ll just brighten up the place!